What Separates Iberico Pork from Other Varieties? Not only is it tastier, but its flavor covers a wider range than other pork, with some cuts tasting like a cross between beef and pork. Iberico is the best pork I’ve ever worked with. It’s so flavorful! The fat content & flavor makes it very fun to work with because you need to do so little to get a really great dish. 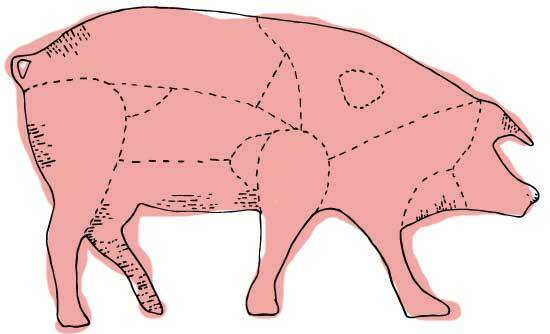 Spanish & American butchers don’t see the pig the same way. While American butchers simply separate the front leg into the shoulder & the leg, the Spanish see a more nuanced list of cuts within the shoulder. Because Spain produces Iberico pork, which may well be the world’s finest. The differences between this breed & others are particularly noticeable in that trio of special Spanish cuts – the End Loin (Pluma), Shoulder Eye Steak (Presa), and Secreto (a skirt steak-esque cut hidden behind the front leg…the name merely means “secret”). These three portions are the most highly prized (and priced) parts of the pig in Spain (apart from cured jamon bellota). We asked our staff Culinarian Liv and Kitchen Assistant Jade to use their expert knowledge from restaurants & culinary school to put them through their paces in the Marx Foods Test Kitchen and get you the best insights. When You Buy Iberico, What Cuts Do You Cook at Home? I buy pluma because it’s a perfect single serving. I’ve tried to leave leftovers, but I can’t stop myself-it’s too delicious. I just don’t buy a lot of meat, but I do buy Iberico. I like to buy the pluma because it’s the smallest & most straightforward of the three cuts, and a good size for cooking for 1 or 2 people. It’s really delicious grilled. 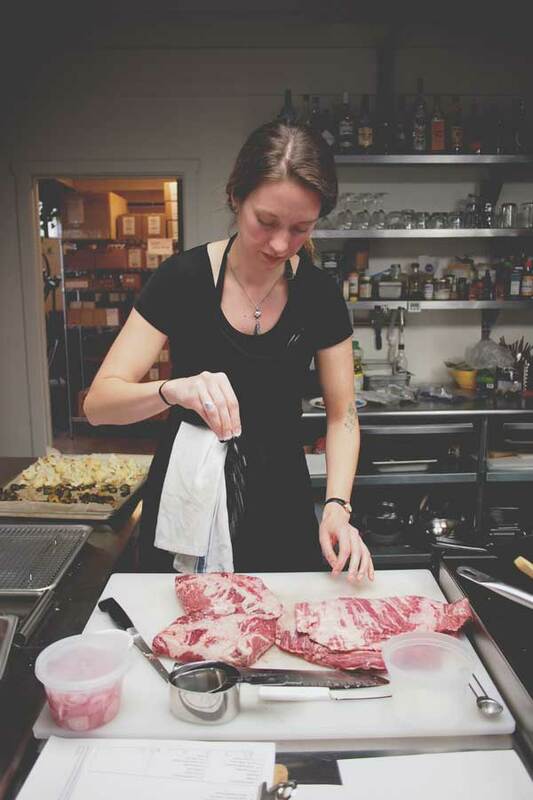 Jade & Liv both agree that the most important rule when working with Iberico is to let it speak for itself. Our recommendation to Iberico first timers is always a simple season & sear with salt…perhaps with a touch of lemon or garlic. Cook it on the grill, in a pan, or sear it & then finish in the oven. Removing it from the heat at Medium Rare* will let its best flavor & tenderness shine. After that, let it rest, slice against the grain, and serve to the adulation of your family, guests, or own tastebuds. However, the goal of the test session was not merely to explore the differences between these cuts, but to create further accessible recipes as well. With that in mind Liv & Jade set about creating recipes from their respective wheelhouses that were more complex, but still focused on showcasing rather than covering the pork’s succulent deliciousness. Jade took Spain’s great culinary treasure to Korea with a play on pork bossam made with the Presa shoulder steak. 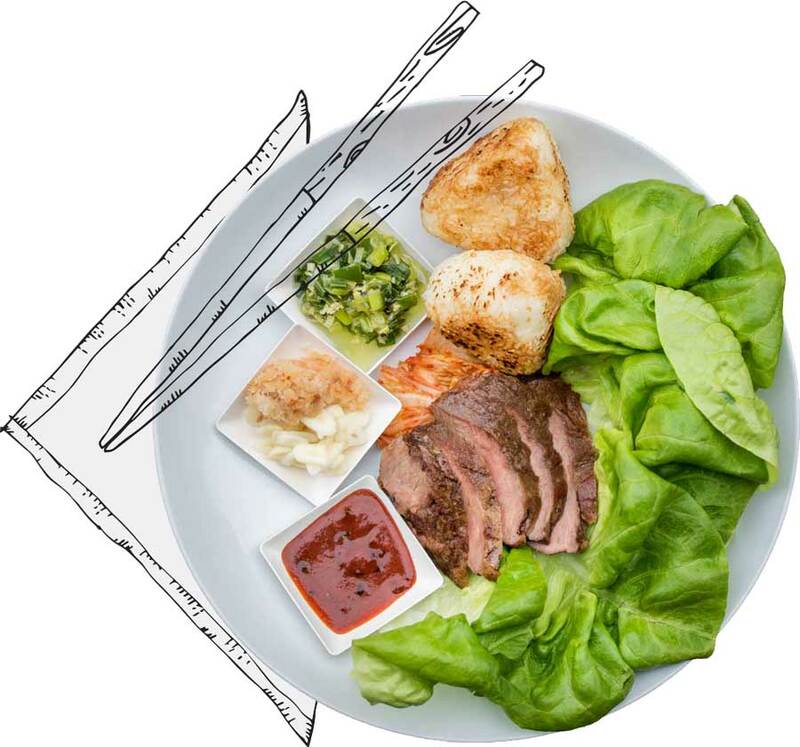 Her bossam featured lettuce wraps served with ginger scallion sauce, black garlic gochujang sauce, grated chile-spiced daikon, pickled garlic, and soy-glazed toasted rice balls. The results were super tasty – the thinly sliced roast Presa was meaty & robust, standing up easily to the sweet-savory-spiciness of the various condiments. It practically evaporated under the onslaught of hungry staff members [Get The Recipe!]. Liv paired the Secreto and Pluma with more traditionally European flavors. 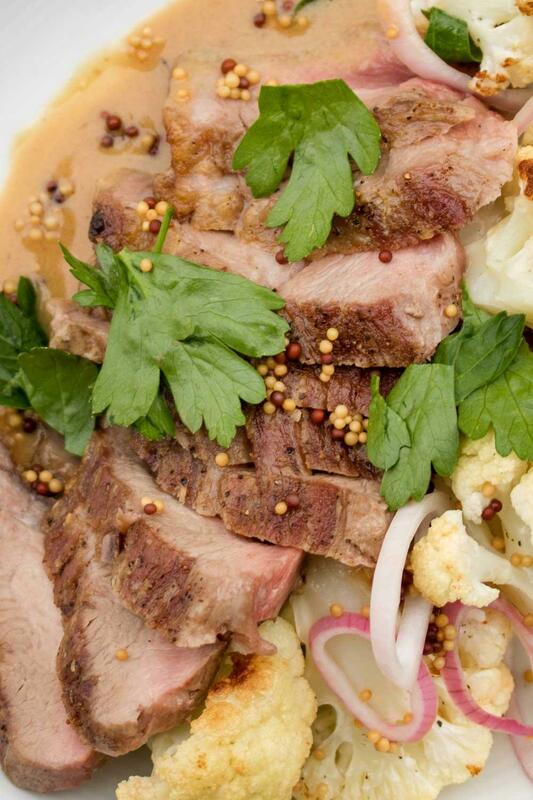 Her first dish took the well marbled, buttery Secreto cut and balanced its richness with pickled shallots & mustard seeds, roast cauliflower, and a white-wine mustard pan sauce [Get The Recipe!]. 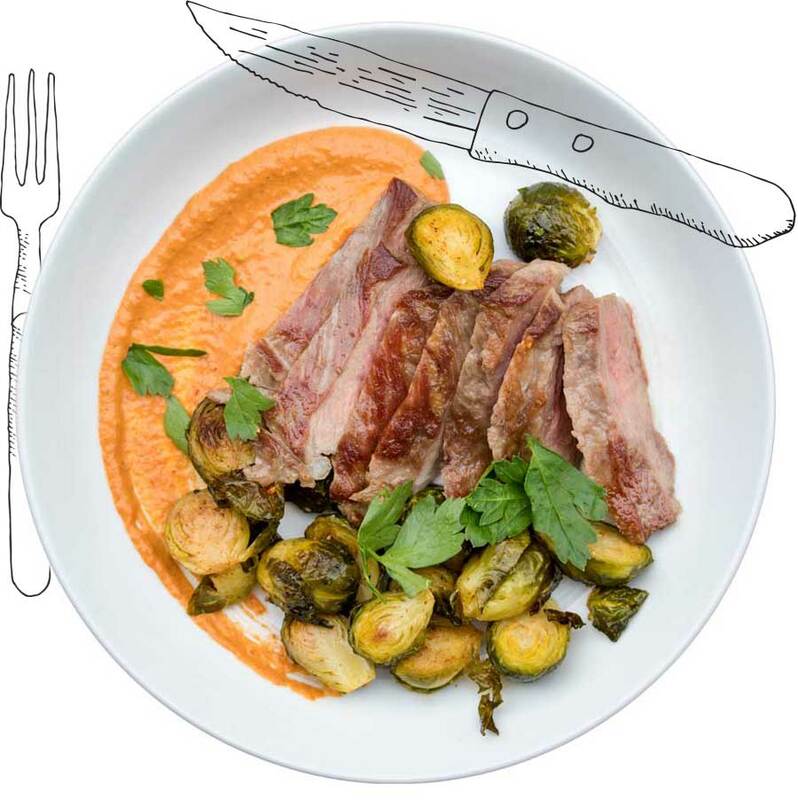 Her second stuck to Iberico’s Spanish roots with one of her personal favorite sauces: Spanish Romesco – a blend of roast peppers, bread, nuts, pimenton, vinegar, and olive oil [Get The Recipe!]. Roasted brussels sprouts brought additional color & flavor to the plate. While both were big hits with staff as-is, Liv recommends serving a starch side (artisan bread, roasted potatoes, etc) along with each recipe, in order to turn the dish into a complete meal. Having prepared the three cuts side by side, their distinct differences in flavor, texture, and applications began to emerge. The Secreto skirt-steak-esque cut is quick cooking and has a texture that could be described as springy and soft at the same time. Chewing through the layers of fat & meat almost felt like biting into (though this seems like an absurd concept) a pork croissant. Beyond the texture was a ton of buttery, nutty iberico pork fat flavor that everyone loved. Lots of fat comes off! This cut wouldn’t work very well for a grill pan, but you’d get lots of flare up/good char on a real grill. The secreto wouldn’t work very well for roasting, maybe work for broiling on a broiling rack. Because it’s so fatty, the Secreto is best super-hot right off the stove. "The texture of the secreto is insane, it’s so good." The Pluma End Loin cut is very tender, cooks quickly, and has a flavor that’s meaty, but also rich. The pluma is meatier and less rich than the Secreto, more marbled & soft than the Presa. 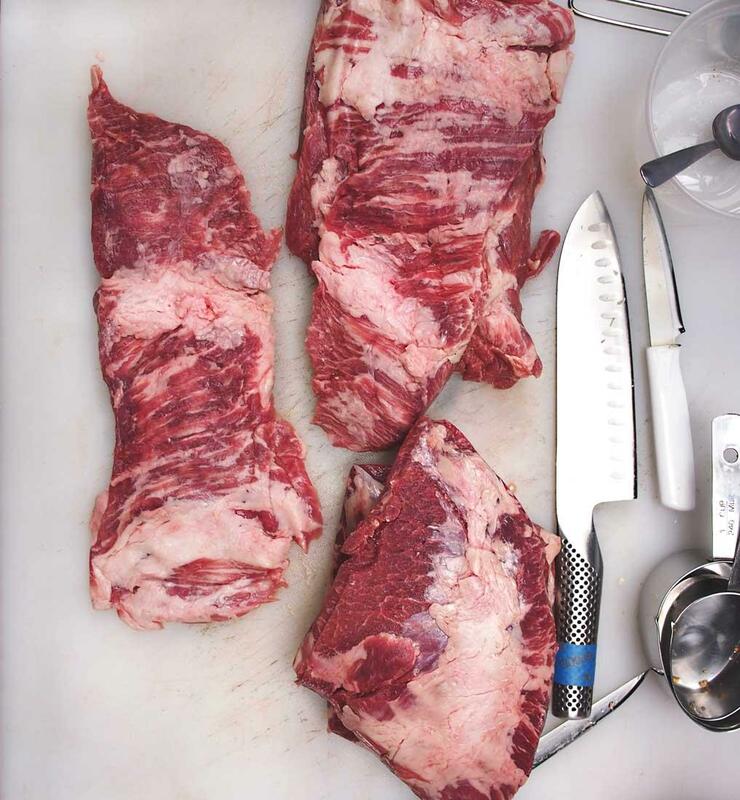 This cut is easy to sear due to its size and fat content. Good amount of fat comes off (but not as much as the secreto) and it’s best for the pan or grill. Don’t overcook it! I recommend Medium/Medium Rare. Sear it hard over med high heat, to get a nice crust. The Presa Shoulder Eye Steak cut is like a small roast. Its flavor is very meaty rather than super buttery. 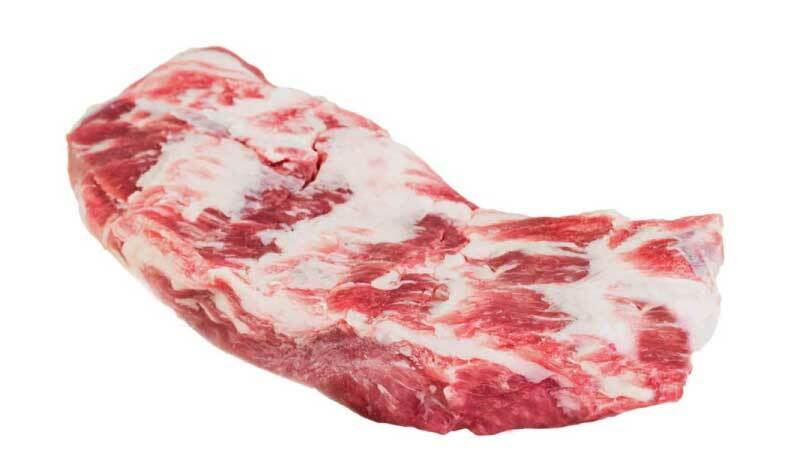 With less marbling than the other cuts, it remains very tender, but has a texture closer to a steak. The presa has a tighter grain than the others, and roasts well. I noticed it took longer than I anticipated to roast (given the size). Of the three cuts, this one can be served at the widest range of temperatures – hot, warm, or even cold. 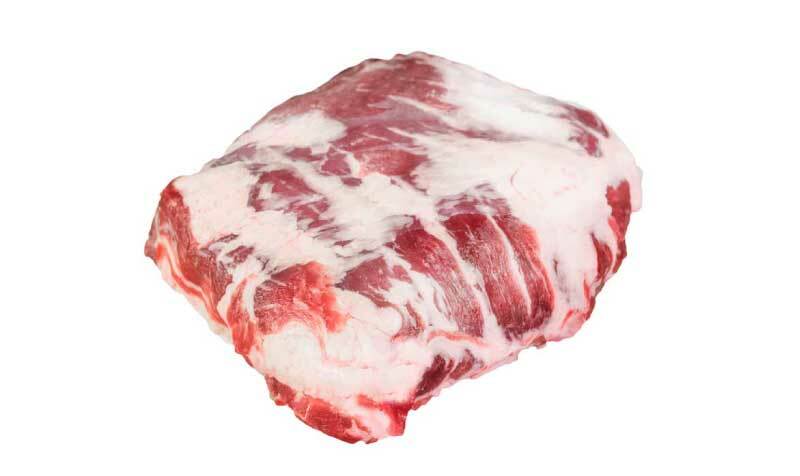 That’s because its less heavily marbled – you don’t need it to be hot for the fat to be delicious. It’s a great choice for dishes like bossam where it’s served around room temperature. 1. Cook Using Same Techniques & Doneness as Beef! 2.Slice Against the Grain & Serve! Note: Our good friends at the USDA recommend cooking all pork to an internal temperature of 145°F, followed by a three minute rest, for safety.